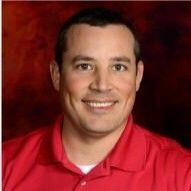 Todd Sanders joined Southern Veterinary Partners in 2019 and serves as Regional Operations Director for Georgia and South Carolina. Todd has 22 years of veterinary industry experience including serving as National Account Manager at Royal Canin and Hospital Manager at an emergency animal hospital in South Carolina. He graduated with a Bachelor of Science in Chemistry from Morehead State University and received an MBA from William Howard Taft University. Todd and his wife live in South Carolina with their two children and three pets.